Thomson Rubber has been supplying specialist rubber and plastic products to a wide range of industries throughout Australia for over thirty years. This website represents a selection of our stock holding. Every one of Thomson Rubber products meet strict quality control levels. 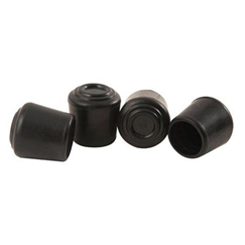 If you require standard products ranging from rubber chair tips, to door wedges, to plugs, Thomson Rubber is your one stop shop. Take a look through our product listing, and please feel free to contact us to place your order or have a chat with our friendly sales staff.